X Torq Delivers lower fuel consumption and reduced exhaust emission levels in accordance with the worldÂ´s most stringent environmental regulations. 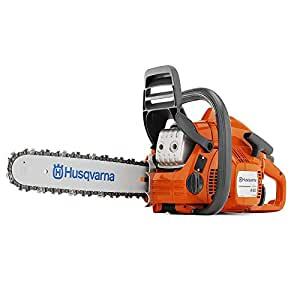 Lightweight and efficient all round saw, ideal for those looking for a chainsaw that is exceptionally easy to start and manuever. Featuring X Torq engine for lower fuel consumption and reduced emission levels. Equipped with Smart Start, fuel pump and Auto return stop switch for easier starting. Side mounted chain tensioner for earier chain tensioning.